It's 1983 and a large crowd is gathered in front of Westfield shopping center to send off runners participating in the Westfield Sydney to Melbourne Ultramarathon. The distance between the start and finish is 875 kilometers (544 miles). All runners are in their 20's and 30's, and in the top shapes of their lives. All the athletes are wearing Nike, Puma, and Adidas running gear, and most of them are sponsored. Well, almost all of them fit this description, all but one. Cliff Young, a 61-year old potato farmer, appeared in the crowd among the ultra-marathon participants. Wearing overalls and Wellington boots, he looked nothing like the other runners. There were laughs in the crowd, with people assuming Young's presence was a gimmick. At the beginning of the race it sure looked like one. At the sound of the start signal, the runners took off at a fast pace, all except Cliff Young. He began running at a very slow pace (around 4 m/h). It appeared he had no chance of even finishing the race. 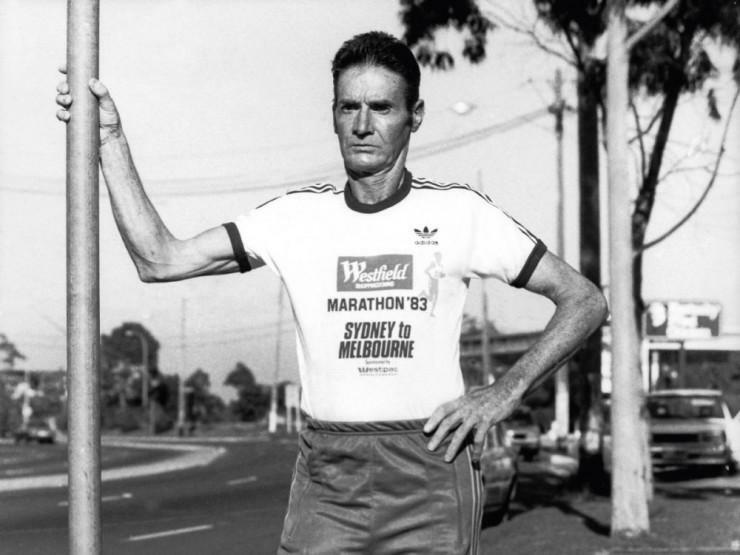 However, five days, 15 hours, and four minutes later, Cliff Young crossed the finish line in first place. He not only won the race, but he also beat the previous record of any races between Melbourne and Sydney by almost two days. During the ultramarathon, other participants had a running/resting cycle where they would run for 18 hours and sleep for six hours. Young did not sleep at all during the race. He kept running until he reached the finish line. This race embodied the story of "The Tortoise and The Hare". The prize for the first place was $10,000. Instead of keeping the money for himself, Young insisted to evenly split it between five competitors who finished the race. During the press report before the race, a reporter told Young that there was no way he would be able to finish the race. As a response, he said the following: "Yes I can. See, I grew up on a farm where we couldn't afford horses or tractors, and the whole time I was growing up, whenever the storms would roll in, I'd have to go out and round up the sheep. We had 2,000 sheep on 2,000 acres. Sometimes I would have to run those sheep for two or three days. It took a long time, but I'd always catch them. I believe I can run this race." Young went on to compete in several other ultra-marathons and even in his later years. He passed away in 2003 at age 81. His slow running style was later named the "Young-shuffle", and it has been adopted by other ultra-marathon runners since his success. Following in Young's footsteps, modern ultramarathoners no longer sleep during the races. They run until the race is over. Every person has a runner within themselves. There is something built in our human DNA that makes running so natural and instinctive. Running heals us both physically and mentally, strengthening our bodies and, most importantly, our minds.